It's time to give the annual review of the Top Global Funds from the previous year as we begin a new year! May you have more blessings this coming year! Although India still remained dominant for the year, there are quite a few other countries and other thematic funds that made it to the Top 10. 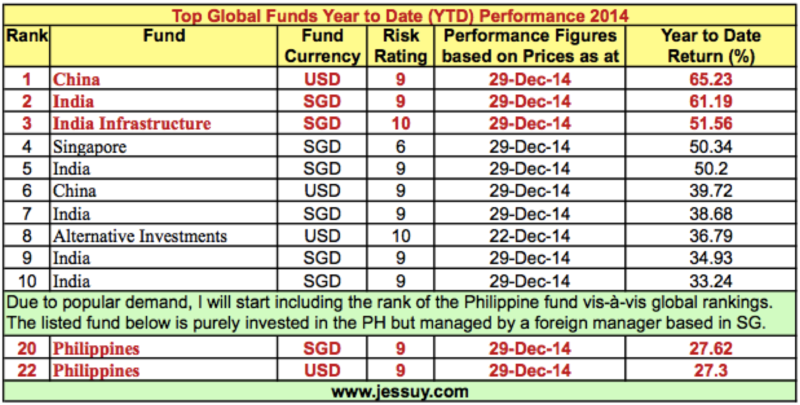 China, Singapore and an Alternative Investment fund made it to the final list! An additional ranking (3 year performance ranking) was added for this article.